The quality of bringing one into direct and instant involvement. Would you like to have tools that help you work smarter, not harder? You now access emails on the move wherever you are. The same now applies to all our documents, files, projects, and lessons. Clients expect you to be instantly involved to work on solution, documents. Students expect to be able to collaborate on assignments in real time. 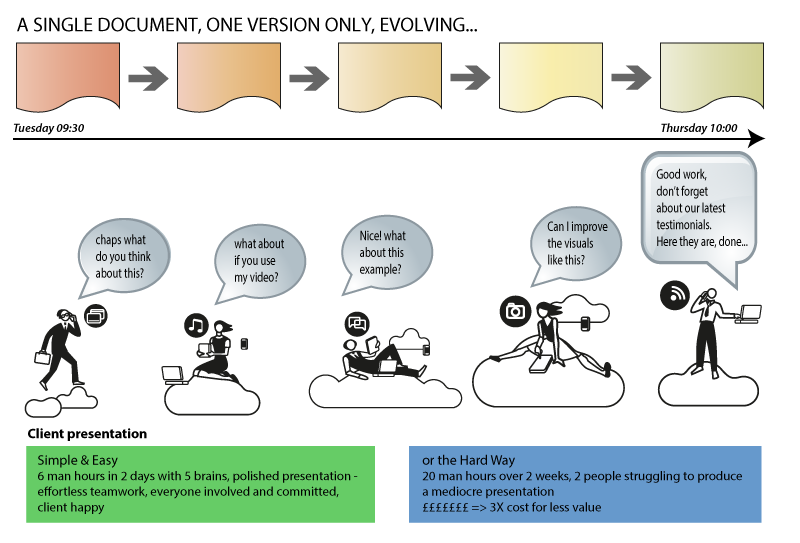 Your peers want to work together on the presentation now, not through countless emails and versions of documents. Start working in the office, classroom, desk and continue where you left in the bus, cafe, hotel room, or home office. Simplify the way you work, study or interact with customers and peers. Spend less time and produce more. We have the simple tool for you to use now and will help make the most out of it. Android, Apple, Microsoft Smartphones and Tablets including IPad and IPhones. Get features similar to DropboxTM with the benefit of Active Directory integration. AWS security measures, certifications, accreditations, and features meet the security criteria set out by some of the most discerning and security-conscious customers in a large enterprise as well as UK government agencies.